In that last picture Jerry, is that the Ford 999? The older stuff is kewl, but IMO the roadsters of the 50's and 60's are still some of the best cars that ever ran the big oval!!!!!! Thanks for the pictures, Jerry! That is an excellent collection of photos, thanks for posting them! I had not seen a closeup of the STP turbine car before. Did the museum display any engines like the Offenhauser 4 cyl? I get flack from restorers because I have a fiberglass '29 Model A, flack from the Chevy guys because I have a Ford emblem and more flack from the Ford guys because I have a 350 SBC but I have to please my wife who says "It has to look like a Model A!" 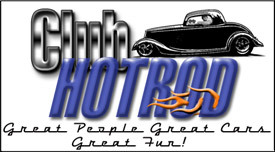 Anyway maybe it is worth mentioning that if you are interested in a rod which has the old look you can still buy a complete body for a Model A Speedster that fits on a '28-'31 A frame from Bratton's Antique Auto Parts for about $5K but then you would need to adapt a modern drive line and one of the modern 4 cyl engines. After considering that option I preferred a '29 Ford roadster with bobbed rear fenders and cycle front fenders, but NO (!) it has to look like a "cute" Model A so I have what is basically a "replica" restorod. After all that it looked like the Weaver sisters were really having fun in that 1910 T Speedster but it looks like bugs in their teeth are a definite possibility! Last edited by Don Shillady; 09-06-2012 at 09:13 PM. Sounds like it's time for the next project, Don! She's happy with the one you did first, so now it's time to start on the one you want! We'd love to watch the build!!! I found a deal for you. For sale locally here in Denver. I don't know if I can start enother build but I am fascinated by these oval windscreens on the speedsters. One advantage is that you don't need a windshield wiper because you can just reach around and wipe it with your hand! However, I recall driving a dune buggy without a top in a driving rain and the raindrops actually hurt my eyes! So speedsters are the ultimate fair weather cars. I am trying to get a picture of one of the special Model A speedster kits built by a guy in Leesburg Va and will show it if/when I can. DMV2.JPGDMV1.JPGDMV3.JPGWell 34-40 started this thread for me and I have scattered the progress of my 1929 roadster over many threads so maybe the solution is to use this thread for further developments of the final steps of my build and of course no rod is ever finally finished! This thread already has the excellent pictures of historic speedsters and racing cars submitted by Jerry and others so maybe a 1929 roadster (replica) fits in this time frame as just after the end of the Model T Fords. The next step for me is to finally get a Virginia Replica title and they have already charged me for a 3% Tax on out-of-state purchases including many from Lincoln Nebraska (Speedway) and Maryland (Bratton's) so the final inspection is immanent with the attachment of a VIN plate on the firewall. To begin here are the three pictures I was required to submit for the title application. I will try to keep my eclectic comments on this thread in the future since some folks on this Forum think I have been an interloper on other threads. I liked the 34-40 thread because I like old Fords but I will try to use this thread in the future even though my name really has two "l"s in it. Last edited by Don Shillady; 02-07-2013 at 07:09 AM. That may be a replica but it's still a good looking ride! and we share another topic you might not have known about and that's the titling and tax run around by the state. I started my project in 2000 and got my title last year in March, I beat a deadline and the new rules are wreaking havoc here in MA for guys like us. But on to your interior, can you re-post those pics? and maybe explain that strip part... have you considered velcro? I want to do the interior of my truck and I'm thinking of attaching the material with velcro. I'd like to hear your thoughts on this too! The guy who made my top (without a pattern!) warned me not to use Velcro to seal the sidecurtains because it really is tight if you use a large area. I am glad to repost the pictures of my simple interior mods. The Bebops body has a strip of wood along the back edge of the doors, I suppose this is a tack strip. I am now working on stapling a strip of the vinyl to the wood and folding it over to get a rounded edge to the door but the wood is uneven. Along the top header there is a narrow strip fastened by nails/staples in a center groove and then a narrow strip of plastic is inserted to hide the fasteners. Unfortunately I have not seen a strip which is wide enough for the wood on the door edge (1 1/2"). So in that last picture, am I seeing that there is no nailer / tack strip along the top edge just behind the door? Was that the original question? 'Cause that was what I noticed. And many folks have used velcro to attach their interior panels. Not windscreens / side curtains per se, just a panel or section of material.